Piano string covers are essential to the preservation and protection of your piano’s “vocal chords”, keeping them in top shape - free from corrosion and deterioration - while allowing them to release clear and resonant sound. Strings covers are essential to protect your piano's strings against dust, moisture, and their subsequent counterpart, corrosion. 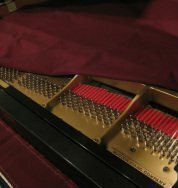 String covers are an inexpensive guarantee that your piano can be protected on the inside, while enhancing its beauty, and achieving a greater level of tuning stability, year after year. Our string covers are made using only the highest quality materials. Woven wool is the perfect fit when it comes to repelling dust and moisture - it's dense enough to block it out, and yet "thin" enough to allow sound to be projected from the soundboard. Now, why should you buy a string cover? Here are five reasons why you should get one. 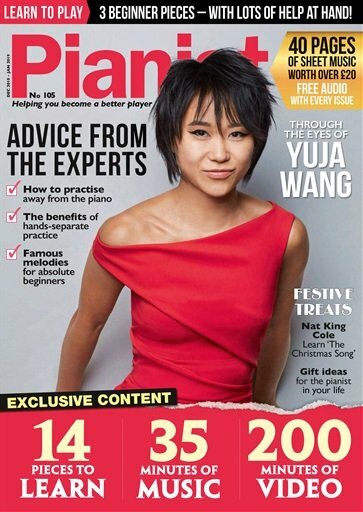 Protection for your piano. String covers protect your piano's delicate strings from two outside "enemies" that, when combined, conspire to threaten, or shorten, your piano strings' life span: (1) dust and (2) moisture content in the air. A piano string cover protects against these two elements, while enabling any moisture within to evaporate and absorb into the wool. 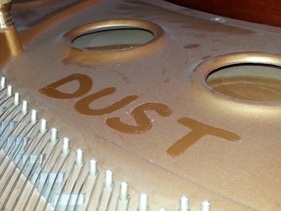 This simple solution prevents moisture from developing onto the strings, plate, and soundboard, which ensures that rust cannot "eat" at your piano, deteriorating it over time. Preserves the beauty of your piano. 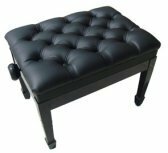 String covers guarantee that no dust, spills, pet hair, or any foreign object will ever accumulate in this hard-to-clean area of your piano. 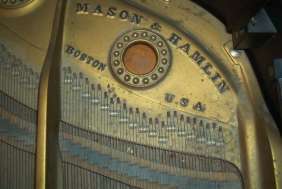 Thus, you can be sure that your piano’s beauty is preserved for several decades and generations. When you choose a wool string cover, you’ll also get extra benefits because it also prevents a gradual hazard from developing over time – namely, rust and corrosion on the plate and strings. Additional tuning stability. 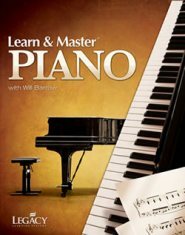 String covers control the temperature that maintains the piano’s tuning stability. Since wool is a natural insulator, it makes sure that the piano is well protected not just from the constant rise and fall of temperature, but also from other harmful atmospheric particles. Quality. 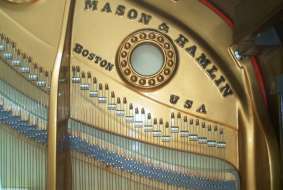 When choosing a piano string cover, we offer only the highest quality materials. Our string covers are custom made and hand woven, so it’s thick enough to eliminate dust and moisture while still allowing the sound to come through the cover’s top. Lifetime guarantee. Our piano string covers offer the perfect satisfaction guarantee. We strive to meet your expectations, not only in terms of color, but in giving you the satisfaction that what you are paying for is by far, worth every penny. A piano string cover is an essential tool that guarantees the safety, security, and quality of your piano. So, if you want to invest in your piano’s durability and the quality of music it produces, you can't go wrong with an affordable string cover. 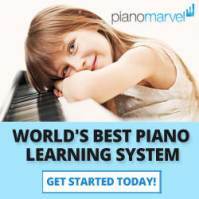 You’ll notice the difference it makes to protect your piano's interior against dust, moisture, and other contaminants, which inevitably accumulate over the years on the piano’s strings, plate, and soundboard. Order a string cover today to ensure the longevity and optimal performance of your piano’s delicate interior parts and the quality sound it was designed to produce. All of our piano string covers ship to you directly within 10 to 14 business days, as they are 100% custom made to order. We also offer a 100% money back guarantee. We are confident our string covers will meet and satisfy all your needs. If you are unsatisfied for any reason, you have 14 days to try it out for yourself. You can send it back to us for a refund or replacement. Please indicate (1) string cover color, and (2) stitch pattern within the form below. If you wish to view actual color samples, please send us an email to: totalpianocare [at] gmail [dot] com to place a request. Sample kits are $20 which include materials and shipping to your door. Paypal.me/TotalPianoCare and enter the total dollar amount, as seen in the pull down box, above. Below, you will find our two (2) decorative stitch options. 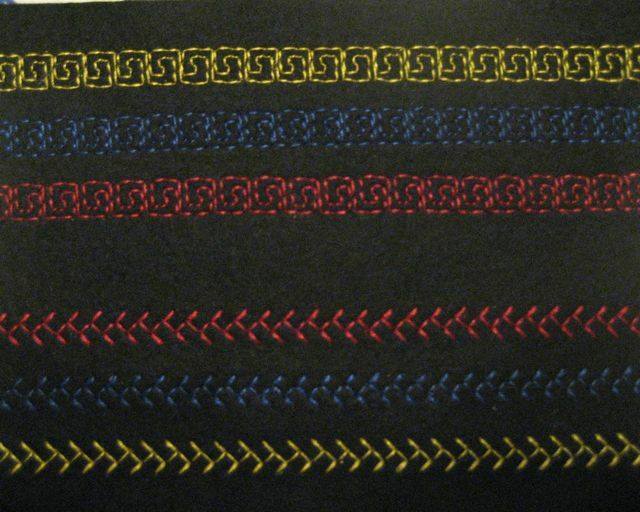 The top three rows of the first sample shows the (1) Greek Key stitch, and the bottom three rows show the (2) Feather stitch. Both stitch patterns are available in Gold, Blue, Red, Black, or White thread. Sending us a paper template is not necessary, unless your piano make/model cannot be found in the list below. BOSENDORFER --- 5’1”, 5’6’ 6’9”, 170, 185, 190, 200, 213, 214, 225, 275, 282, Imperial 9’6”, VIENNESE. FALCONE --- GF42, GF52, GF62, GF72, GF87, GF208, 7'4"
HALETT DAVIS --- 152C, 6450A, 5' 5"
NORDISKA --- D (5’), 5' 11"
SCHUMANN --- G-80 A, 680A, 5 FT, 5’9”. SHIGERU KAWAI --- SK2, SK3, SK5, SK6, SK7, SK-EX. STORY & CLARK --- M152, H60 (5’1”), SC 700 5’9”, GX160, GX 170 .